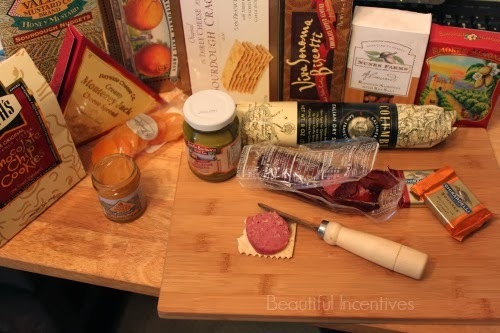 Beautiful Incentives: California Delicious Gift basket Review. Plus, $50 #Giveaway! 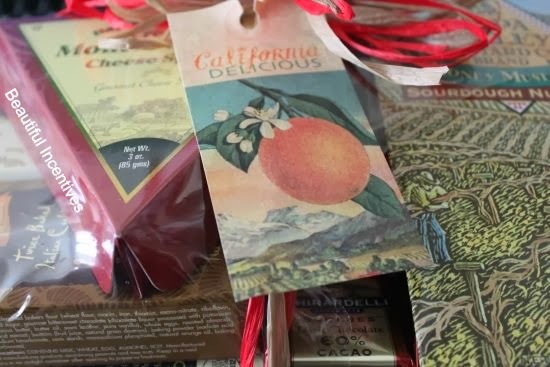 California Delicious Gift basket Review. Plus, $50 #Giveaway! This post was inspired by California Delicious. I received one free for consideration. All opinions are my own. 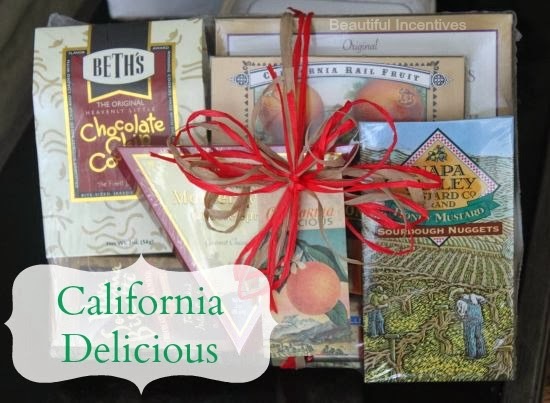 California Delicious is a company that sells very nicely put together gift baskets for every occasion imaginable. What I love about this place is that they don't leave anything out and the majority of the baskets are tailored to specific likes of many different facets of personalities. I chose the "California Gourmet Cutting Board Gift Deluxe", which is filled to the brim with everything I as a foodie lover could have wanted. I am picky about what I eat and I was very pleased with everything that came in this basket. I chose this one because it had many different things. I wanted a mixture of sweet and savory, but didn't want to go overboard on the sweets so I picked this one. It has a great variety and just the right sized portions. It's perfect for those picky eaters who only want the best meat cheese and chocolate. All very fair and decent sized portions for the money. This is perfect for two people. Pair it with some nice wine and go on a gourmet picnic! Everything that I tried was absolutely delicious. The meat was very fresh and tasty. Not too salty or too anything. You get two big hunks of it. The cheese was superb, as was the hot honey mustard I paired the meat and crackers with. The sourdough bites were so incredible and i'd never tasted them before. I love olives and these were really good as well. The dried apricots were very fresh and made a great contrast to the cheese and meat. All the chocolate and biscotti was delightful and made a perfect ending to a yummy savory brunch. The almonds and the fruit candies made great snacks throughout the day. The cheese board and cheese spreader were very nicely made and durable. I'm getting good use out of them. I was so impressed with this basket and I know that you or the loved one you gift it to will be just as impressed too! This Company is definitely Gift Guide Approved! If you'd like to purchase now, you can take advantage of their $5 off $50 or $10 off $75 promotion! You'll see the offers pop up on a side tab when you visit the website. And now what you've been waiting for, the giveaway! One lucky winner will receive $50 to buy their own decked out gift basket! 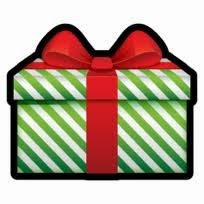 You can give it away as a gift or treat yourself ! Please leave a comment, as that is the only mandatory task, but I encourage you to follow their social networks for news and to keep up with promotions. I would like to get one of their coffee baskets! I would get savory! Okay...maybe both! I would get something sweet! I would LOVE one of these gift baskets! I am going to get the Sweet Gift basket called California Delicious San Francisco Ghiradelli Gift Basket! Who is this entry for Facebook? It only shows numbers in the Rafflecopter. Here it is Easy entry for all 178347298917527 fans on Facebook. Could we get the link. Thanks so much for this giveaway! They have some really wonderful selections. Love the fruit baskets. Thanks so much and Happy Holidays. I would get something sweet. I would get the Sweet Gift Basket because they have some nice chocolate ones. Thanks for the giveaway! Everything looks so delicious! As a huge food lover, I would really love this! I love the basket it is filled with some amazing food. Thank you for this great contest! I would go for savory - meat and cheese. The Holiday Superstar Tower looks great! I do like both sweet and savory. I would also love something sweet! I would get something savory! I'd get savory and sweet! I would LOVE to try out products from this company... looks delicious!